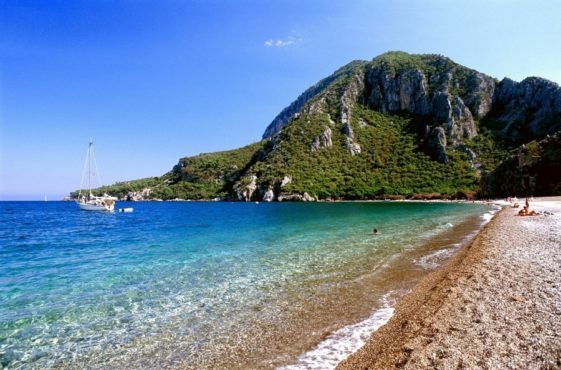 This beautiful beach is located in the Turkish village of the same name in the north-west of Antalya, at a distance of about 85 kilometers. It has a length of 3 kilometers, is recognized as a global reserve. Around the beach, excellent infrastructure, there are many hotels, shops and restaurants. The beach itself is always clean. The land is covered with pebbles. The descent into the smooth water depth of no sudden changes. Cirali feature is its air — the smell of the sea mixes with the scent of pine trees that fill the coastal zone. All these features make Cirali great place for a quiet and relaxing holiday.